So how might these plans change if Junior's decides to sell? in the near-ish future. Brooklyn is over! New York is dead! No more sunlight ever! Real estate expensive! Buildings tall! Where is Omaha, do they have Chipotle there? Good lord, build it....build it now! YES YES YES YES YES YES!!!! Please build her. PLEASE! ! ! Such a beauty. 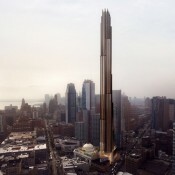 This will be such a great addition to the already fantastic skyline of NYC! New York is my City & Brooklyn is the borough. is this made of cor-teen steel? I wonder what the final built building will actually look like, but it is good to see downtown Brooklyn becoming a lightning rod for tall towers. Makes sense. The eye is watching the NIMBYS. Planning the incoming invasion of high rises on predominately low rise Queens Neighborhoods. Some say Gale Brewer was an orc. She defected though, and quit her allegiance to the development machine. If it's anything like Steinway it'll be more bronze and terra cotta. This NEEDS to be built. It is New York through and through. One does NOT simply tease us with such extraordinary architecture (especially nowadays with endless glass boxes). This, to me, is the project of the decade for New York. 111W 57th looks amazing and all, but this just completely takes all my excitement. I would seriously donate to a funding account if it needed financial help haha! 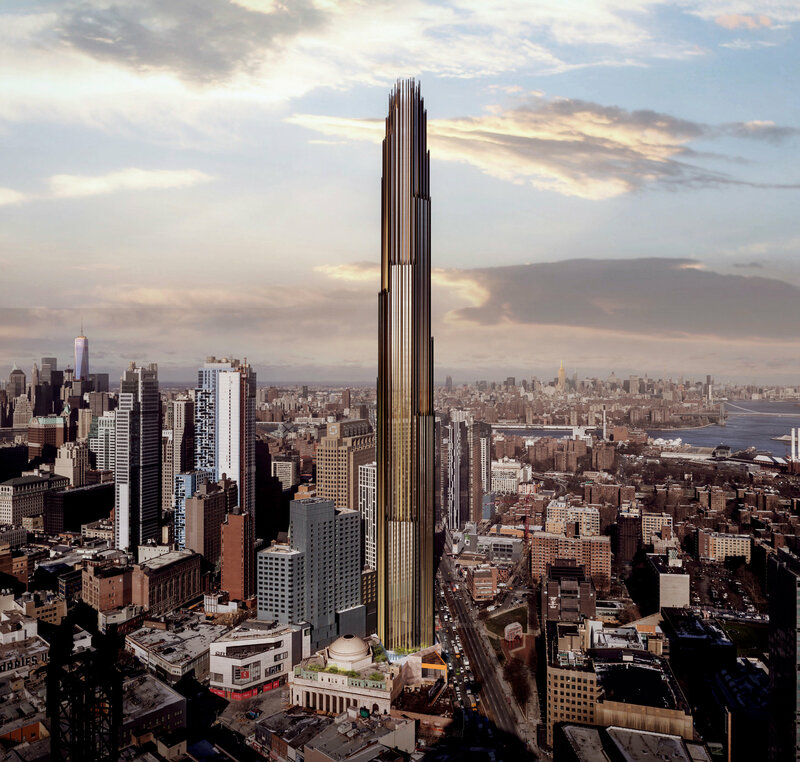 JDS Development Group and the Chetrit Group revealed their plans this week for the 73-story residential building at 9 DeKalb Avenue, which would be the tallest structure in the borough and sit right next to the iconic Junior’s restauarnt. “How those units are being built and where they are being built is important. Five hundred units going up in an area versus 500 units spread out through a block is a big difference,” he said. Some of those comments are very DUMB, but I'm sick of hearing the "affordability" argument. As if the building were 10 stories, they are going to be guaranteed to move in. I love Junior's and I'm glad it's going nowhere for the foreseeable future but hopefully they sell their air rights. One quote from your link that I have to agree with. I understand this issue, basically we are seeing downtown Brooklyn become a high end high rise apartment district for Manhattan rather than seeing downtown Brooklyn become a jobs center for Brooklyn. There is nothing wrong with building apartments, but with each passing year, NYC becomes more and more a playground for the super rich at the expense of everyone else. And Brooklyn is quickly losing its identity as it basically becomes an extension of Manhattan, and with it comes the same price tags that can be found in Manhattan. This building looks as though it jumped out of Fritz Langs Metropolis; simply stunning!